I loved celebrating a relaxing weekend with HandCraft Wines in hand. As we get older, Mr. Savvy and I don’t drink very much during the week. However, during the weekend we really enjoy relaxing at dinner with a new drink to try. We love trying out new beers, wines and the like, so I couldn’t say no when HandCraft wines offered to send us a couple bottles of their wine to try for a review. We were sent 2 varieties to try: Inspiration Red and Inspiration White. I honestly hadn’t heard of HandCraft wines until a few weeks ago, but now they are on my radar to stay. Not only do they have a variety of delicious wines to enjoy, but they also believe in giving back. In this case, it’s to one of the causes most near and dear to my heart, breast cancer research, awareness and prevention. I am lucky enough to not have had any known cases of breast cancer in my immediate family, but I have unfortunately had a couple friends that have had to go through this horrible disease. The Inspiration Red was our favorite variety. I’d love to have it at least once a week! As women, I think it’s a fear we always have tucked in the back of our mind, though it is a cancer that can affect men as well. 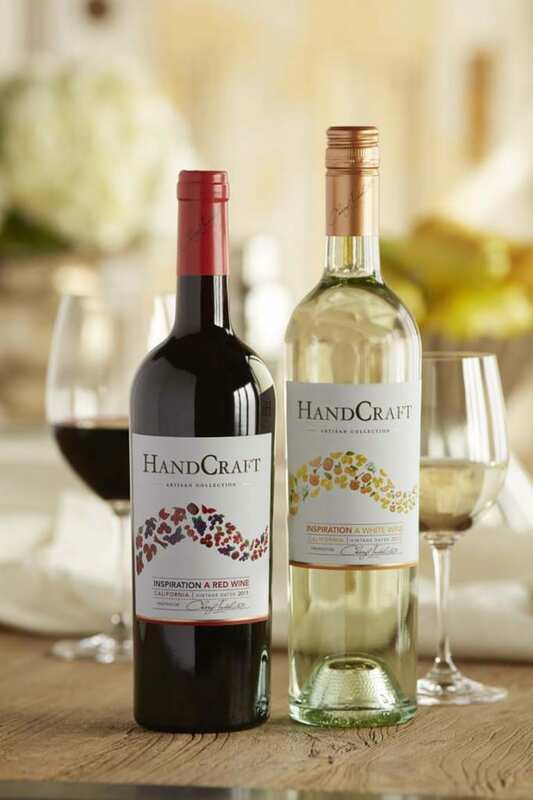 From now through 9/30/13, HandCraft wines is asking you to head over to the HandCraft wines Facebook page and share with them about your own journey with breast cancer awareness as part of their HandCraft Heroes campaign. See the video below for more information. 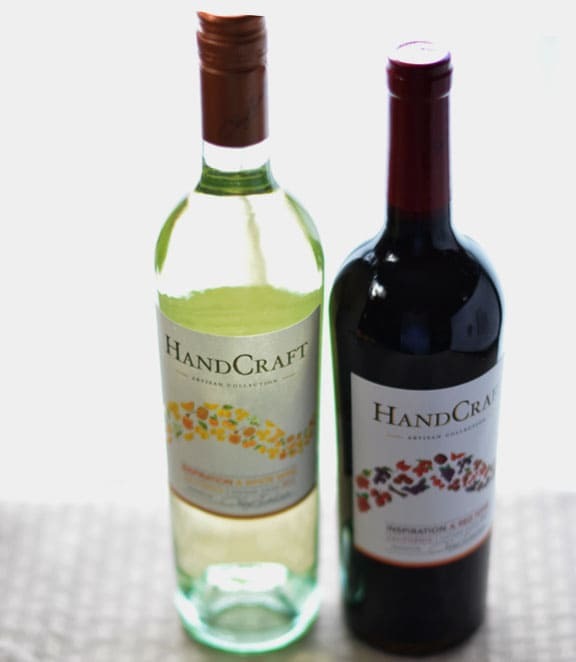 Handcraft Wines sent me 2 of their wines, the Inspiration Red and the Inspiration White. We enjoyed both of the wines, but the Inspiration Red was by far our favorite. It had a full-bodied flavor without being too strong so you can enjoy a whole glass. We enjoyed the HandCraft Wines Inspiration Red during pasta night with a lovely meaty bolognese sauce that I also added some of the wine to. Oh my, did the wine ever make the sauce even better, yum! It also paired perfectly to drink with the pasta dinner. This is one wine we’d be happy to purchase again and again. 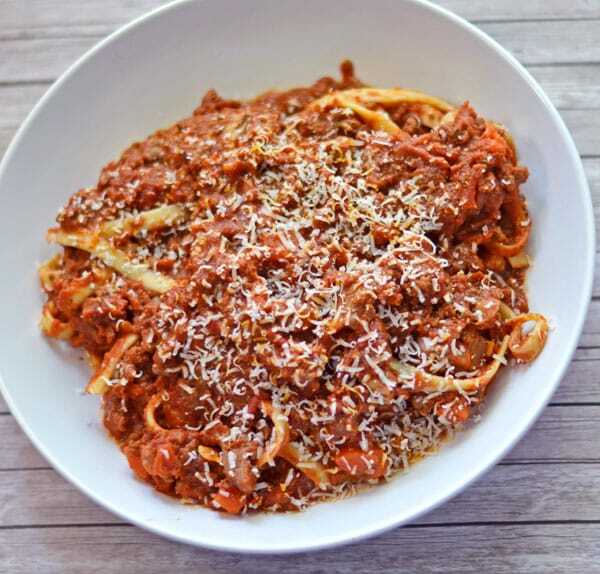 I really loved how the Inspiration Red added a lovely richness to my usual bolognese sauce! The HandCraft Wines Inspiration White was much lighter, as to be expected, but was probably the lightest white whine I’ve ever had. It almost didn’t even taste like it was alcohol! We had paired the wine with a pork roast dinner, but since it is so light, in the future I’d likely plan on having it by itself or with a lighter course like cheese and crackers or fruity desserts. All in all, we really enjoyed our experience with HandCraft Wines and I look forward to trying more of their varieties in the future! 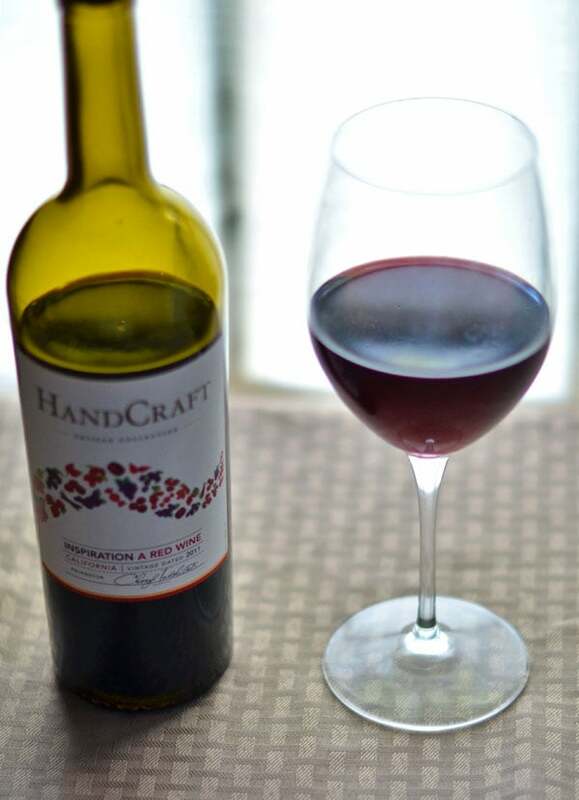 Stay up to date with the latest wine news by following the HandCraft Wines Twitter page. If you enjoyed this post about A Relaxing Weekend with HandCraft Wines, check out some of our other reviews! I can’t wait to read all of the submissions from the Handcraft Heroes! It’s for such an amazing cause. My aunt passed away from cancer this year after suffering from breast cancer over the years. It’s so nice to see brands like Handcraft Wines recognizing those fighting the good fight! Great post! Thanks, Ashley! It was a pleasure participating in a campaign for such a great cause, nevertheless the great product.